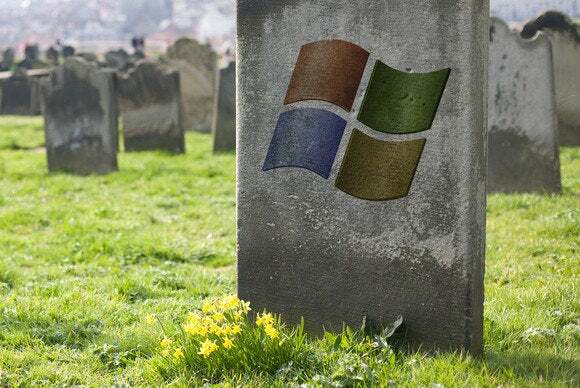 After more than 12 years, Windows XP breathes its last gasp on Tuesday, April 8, when Microsoft will issue the final security update for the aging OS. 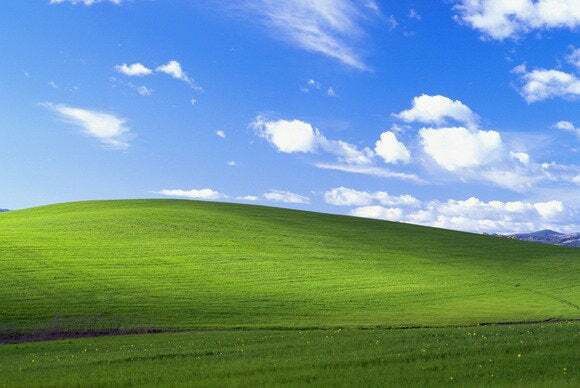 Despite Microsoft’s urgings, which began in earnest nearly two-and-a-half years ago, a sizable portion of the world’s PC users are still actively using Windows XP. During March 2014, close to 30 percent of all Internet-connected PCs worldwide were running XP, according to Net Market Share. Only Windows 7 surpassed XP in PC usage. There's no doubt about it: Many, many people around the world refuse to give up on XP anytime soon. But why? What’s so great about an operating system that was invented before the age of Dropbox and Facebook, an OS that's almost as old as the original Google search engine? "All the 'experts' say I am crazy. Thing is, I stopped the security updates in XP years ago and yet I have never been infected... So, crazy though I be, I am sticking with XP." After talking to a number of current XP users, we've reached one major conclusion: For many of them, PCs aren’t snazzy tech gadgets, but home appliances that still work just fine. Beyond that there’s suspicion toward Windows 8, migration hassles and costs, personal preference, and a heavy dose of skepticism about the fundamental insecurity of Windows XP. Who's afraid of the big, bad malware? But many XP users aren’t buying it. “They built an awful lot of bomb shelters back in the 50's with the same kind of mindset,” says Dallas-based Pix Smith, a puppeteer and magician who uses an XP PC for online research and small-business bookkeeping. Smith acknowledges that an attack against his PC is possible, but he argues that when it comes to malware, the odds are in his favor. Windows XP users can rely on smart online behavior and tools such as Mozilla's plugin check page to ensure they stay safe beyond April 8. Others offered similar sentiments. Bob Appel, a retiree based in Toronto, says he uses 12 PCs in a personal Dropbox-like network—10 of which are running XP. Nevertheless, Microsoft isn’t the only company warning about the inherent dangers of XP after April 8. Security firm Avast says XP is already under attack six times more often than Windows 7. F-Secure, meanwhile, argues that an attack against an as yet unknown flaw in Windows XP is inevitable. While security is top of mind for Microsoft, users have other concerns, such as the pain of moving their data to a new PC, configuring applications, and, in many cases, getting used to new programs. For some users, saying goodbye to Windows XP would also mean saying goodbye to a beloved program. Merritt cites Outlook Express as one of his major reasons for sticking with XP. The once-popular email client isn’t available with Windows 7 or 8.1, and for Merritt, alternatives such as Thunderbird or webmail clients like Outlook.com are a non-starter. "The upgrade path for me would require replacing a bunch of things that work just fine as far as I'm concerned,” says Smith, who runs a number of older programs that still do everything he needs, such as WordPerfect Office X3 for document creation and editing. In fact, the mantra that “XP does everything I need” was a common refrain during our discussions with users. Juan Barbosa, a salesman based in Puerto Rico, recently advised his parents to stick with XP. “My parents just use Facebook, YouTube, Hotmail [now Outlook.com], and read online versions of BBC, CNN, and local newspapers. No need to upgrade,” Barbosa told us via email. 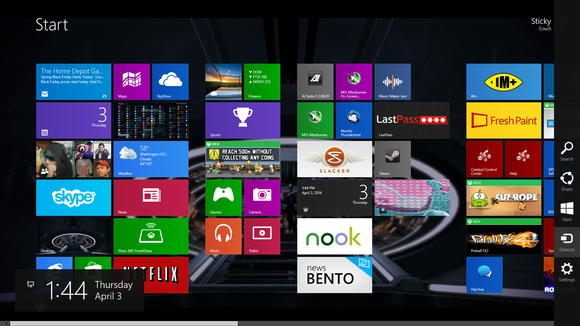 Windows 8's drastically overhauled interface worries some Windows XP users. 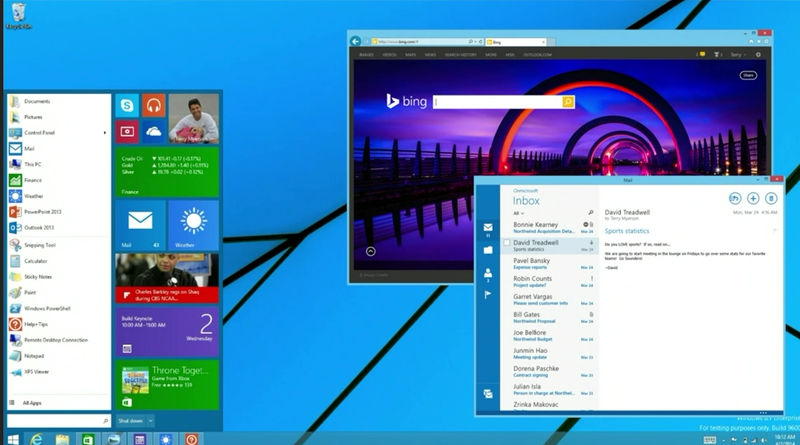 When asked about his opinion of Windows 8, Allen points to the Start screen and how it affects the traditional desktop. “It feels like they have tried to fix something that did not need to be fixed,” Allen said. 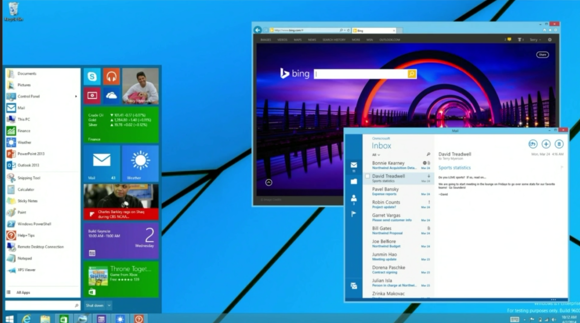 Microsoft is also taking steps to make Windows 8.1 more appealing to users reluctant to try out the dual-interface OS. Microsoft plans to bring the Start menu back to Windows 8.1, as well as the ability to run Metro apps in desktop windows, though the update will likely roll out far after Windows XP's expiration date. The same day that Windows XP reaches its end of support on April 8, Microsoft will roll out a major update to Windows 8.1 that will make it easier for traditional desktop users to interact with touch-friendly modern UI apps. The company also recently announced that the Start menu will return to Windows sometime in the coming months. Once the Windows 8.1 Start menu returns, Microsoft may be able to convince some more XP users to switch. But for many, the decision to stick with XP clearly goes deeper than the presence or absence of a Start menu. And that may not change, regardless of Microsoft's efforts. Still using XP? Be sure to read PCWorld's guide to keeping your Windows XP PC secure in a world without security patches.